The rich heritage of India can be explored while staying in some of the Heritage Hotels. Every region of India was reined by a flourishing dynasty or Kingdom. Their large castles and mansions had being lying unattended till some pioneers came up with the idea that the only way to preserves these ancient and historic monuments was to convert them into Heritage Hotels. The first initiation towards this process was marked by converting the large palaces of the Maharajas into the five star hotels. The Heritage hotels in Manali present itself as the ideal accommodation for a vacationer. These ancestral homes have now found sustenance in this new lease of life. The much charm of the heritage hotels in Manali allows its guest to experience individual attention along with personalization and while talking of meals, the food that was cooked for generations are still served at your table. 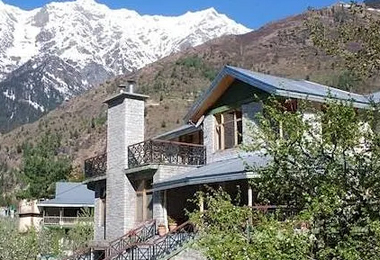 These historic building in Manali have seen some restoration phases in order to modernize the building in contrast to the needs of Today\'s international traveler, with modern plumbing , adjoining bathrooms, running hot and cold water, swimming pool and many more. The Heritagehotelsofindia offers you to experience royalty by residing at one of these lavish heritage Hotels in Manali.